Dehradun, April 25: Lord Kedarnath will open his sacred portals for his worshipers from April 29. During this ceremony of portal opening of Kedarnath, PM Narendra Modi will be present over there to perform puja of Baba Kedarnath. Information from this program has been received from Uttarakhand Government. Prime Minister Modi's program is to reach the temple on April 29 at 6 in the morning. Meanwhile, Governor of Uttarakhand KK Pal and Chief Minister Trivandrum Singh Rawat will be present. The Prime Minister will worship the Shivalinga in the Garbha Gruha there. PM Modi will also review the reconstruction work of Dham during his Kedarnath yatra. In the beginning of March, Prime Minister Modi reviewed the reconstruction work going on in Kedarnath with new technology through drone and instructed all the officials involved in the reconstruction to accelerate the work. Work is going on in the final phase to return the old aura of Baba Kedarnath temple completely devastated in the calamity of the year 2013. 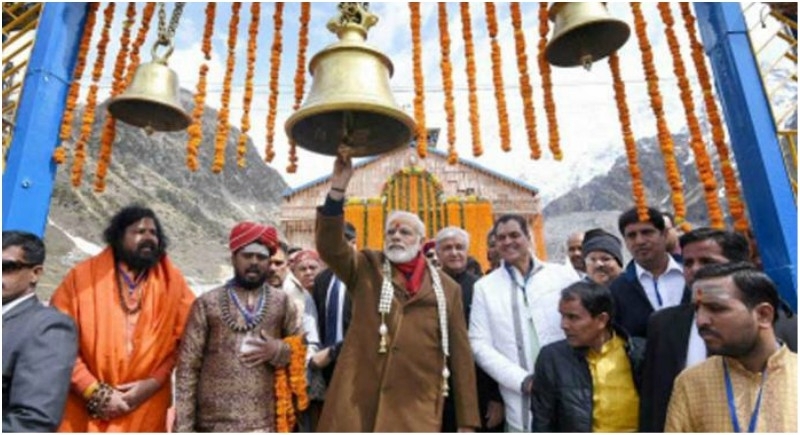 Even in 2017, when Kedarnath temple's sacred portals were opened, Prime Minister Narendra Modi had worshiped there. As per the tradition Lord Kedarnath is worshipped at the Omkareshwar temple in Ukhimath till the original temple reopens. The ceremonies to reopen the portals will start from April 26 says the chief priest of Kedarnath (Rawal) Bhimashankar Ling. Around seven lakh people visit Chardham yatra every year. Keeping in mind of the safety of the pilgrims, Government takes several measures which provide security and safety during the holy pilgrimage.